Hannah Titania has grown up in a magical world of seals and fairies on the remote Hebridean Island of Islay off the west coast of Scotland where she has lived her whole life. She spent her childhood playing in an enchanted forest and learning all about the Fay. Hannah Titania was born as the sun was setting on Midsummer's Eve, the most magical day of the year for fairies. When she was only a few weeks old her mother and father carried her to the top of the Fairy Hill where the Queen of the Fairies dwells. 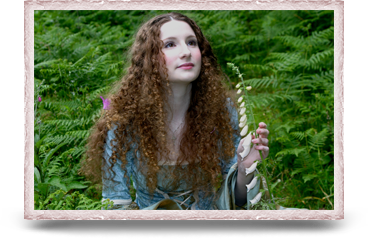 Even though Hannah Titania is now grown up she feels in her heart the way she did as a child, still fascinated with the fairies and in love with the forest where she lives. 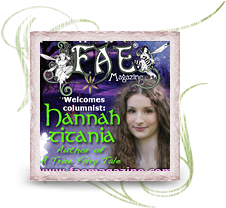 Hannah Titania is an author, illustrator, poet, artist and composer. Her favourite thing to do is spend time in her fairy garden on a warm, summer's day. 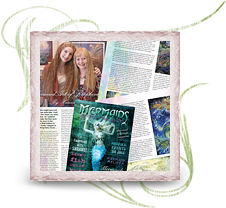 She also loves to write, play the Celtic harp, and create in her art studio. Her mother is known as Fiona of the Seals because she has dedicated her life to rescuing injured, orphaned and abandoned seal pups and caring for them in her home until they are strong enough to return to the wild. Fiona also campaigns for the seals welfare and plays the violin out on the rocky islets near their home to the wild seals who come and listen. Ever since Hannah Titania was big enough to join her mother out on the islands she sang and played to the seals. She now plays the Celtic harp and sings in Gaelic to the seals. Hannah Titania's father is known as The Ambassador to the Queen of the Fairies and protects and looks after the Queen of the Fairies' beautiful kingdom. 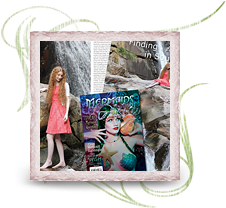 I am a regular columnist for Faeries and Enchantment Magazine and its sis*star magazine Mermaids and Mythology. 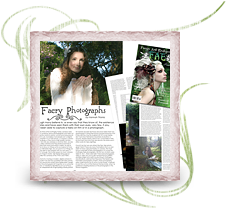 FAE – Faeries and Enchantment Magazine has faerie art, faery fashion, folklore, fairy news, views, events, music, films, meditations and much more. Every issue has more exclusives than you can shake a faery wand at! 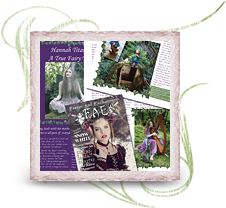 FAE is a full colour glossy wonderland-sized faerie lifestyle magazine printed and published quarterly in the UK on FSC accredited paper and is 100% carbon neutral. 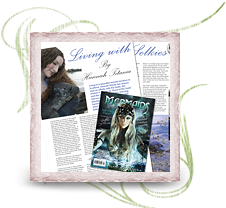 Mermaids & Mythology magazine is a special new mermaid lifestyle magazine that is making a 'splash'!